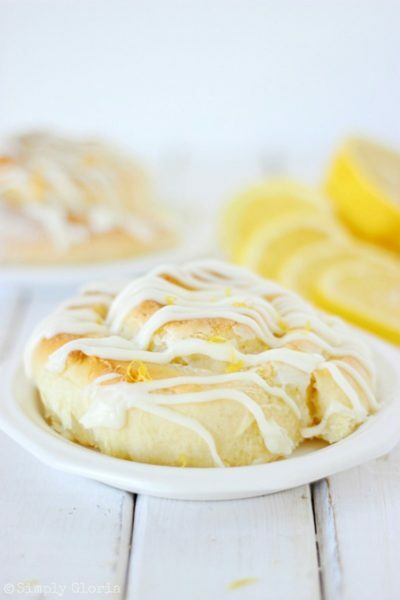 Sticky Lemon Sweet Rolls are surrounded with a creamy lemon filling and swirled around the inside folds of delicate homemade dough. 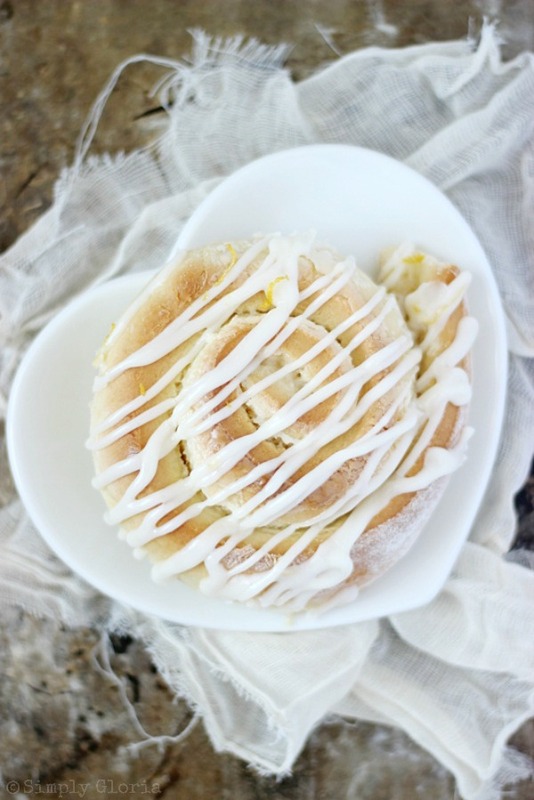 Sweet rolls are a favorite in our home and I can just bet they are with you, too! How could you resist a sweet and delicate bread swirled with a lemon cream cheese filling… and smothered with more lemony cream cheese icing? You simply can’t, I know. Whenever my (oldest son) Levi calls to say he’s coming to stay for the night, you can already figure what I do next (besides the happy dance! )… I get right into the kitchen! I make his favorite meal– for dinner AND he can’t leave without having his favorite breakfast! Now, let’s not forget about the dessert! Lemon has always been a favorite of Levi’s. So, my mind instantly goes toward a lemon dessert. I didn’t have time to whip out the homemade lemon ice cream. But, I did have time to make these Sticky Lemon Sweet Rolls! 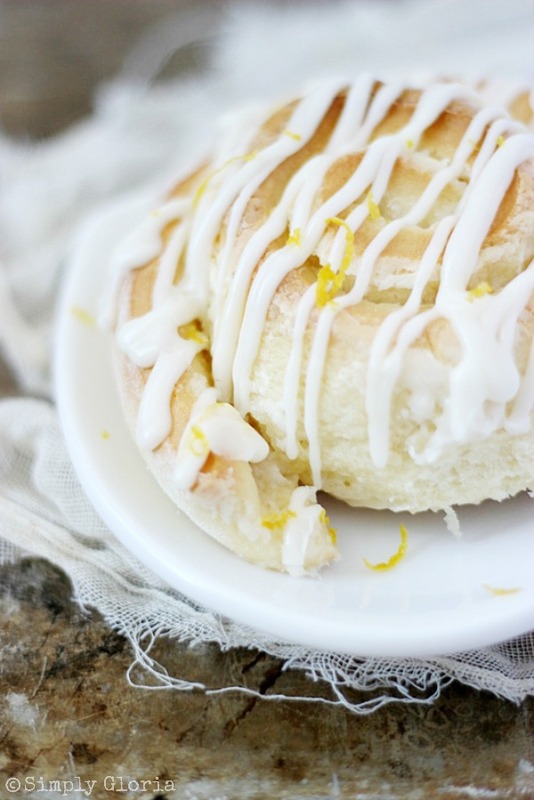 Wrapped all up inside of this sticky bun creation is a sweet creamy lemon flavor. Fresh squeezed lemon juice is complimented with the creaminess of cream cheese and powdered sugar blended together into happiness. The dough is melt-in-your-mouth delicious. Put all of this together and you have lemon heaven! long piece of thread to cut the rolled dough. Prepare filling/icing first to set aside. Combine softened cream cheese, lemon juice, lemon zest (save some for garnish! ), and powdered sugar. Depending how soft your cream cheese is, you may want to add more powdered sugar or set in refrigerator for a few minutes. You want a creamy, thin to medium spreadable texture. Scald milk and put in 4 tablespoons of butter. Set aside. The milk will cool before use. Once the yeast mixture has proofed, stir in the honey. Put one and a half cups of bread flour, sugar, and salt into a large mixing bowl. Add the proofed yeast, milk mixture, and beaten egg into the flour mixture. Mix by hand or with a dough hook on low speed. Slowly add the rest of the flour while it is mixing. Keep mixing until the dough has pulled away from the sides of the bowl. Add additional flour one tablespoon at a time, if needed. Spread the 1/2 of the lemon cream cheese mixture on the rolled out dough, leaving about 1/2 inch away from the edges. Start with one of the long sides, tuck and roll the dough until you come to the very end. Make sure to have the last part of the flap onto the bottom to hold it together. Grab a long piece of thread and slice it up underneath the roll. Crisscross the thread while going down onto the dough. It will cut with out smashing the dough. Tip: Only use a knife to mark the top of the dough (to get even pieces) before using the thread. Place the rolled up pieces of dough into a covered baking pan (use parchment paper or silicone mat). Put in the preheated oven for 20 to 25 minutes– on the bottom rack, as so they will cook more evenly and not brown on the tops so fast. Spread (or drizzle) the icing when the sweet rolls come immediately out of oven or when cooled. Makes about a dozen sweet rolls, depends on how flat you roll out your dough and cut into pieces. 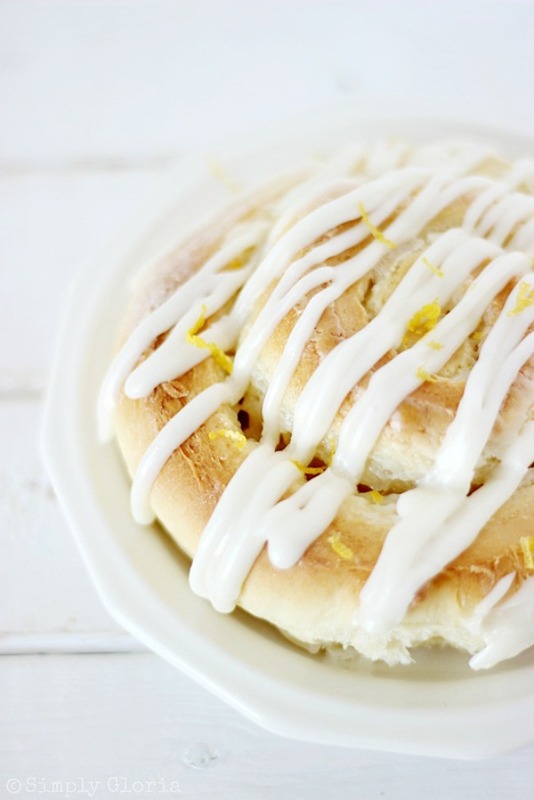 You’d be amazed at how quick and easy these sticky sweet rolls are to put together! When I was growing up, any kind of sweet roll making was an all day project! Not with this recipe. Don’t let the homemade part intimidate you into making these. These are really fun to make and especially to share and enjoy! In case you’re wondering if Levi devoured this baker’s dozen pan of sweet rolls…. The rest of the lemon action was all taken home on a piled high plate– along with his basket of clean laundry. Two younger brothers waving good-bye from the curb as Brother drove away, not sad at all to see these sweet rolls leave. Because, they knew I’d come in the house and replace them with their favorite… cinnamon rolls! Lemon heaven, couldn’t put it any better myself. Lucky kid! Oh my freaking goodness these look amazing! That lemon is calling my name! YUM! I need some lemon heaven!! You know my sweet roll addiction, Glorious Gloria!!! I would knock someone out and run with these babies!! Gloria, i’m right there with Levi, I always love a lemon dessert. ALWAYS! These truly look perfect. I recently have gotten over my irrational fear of yeast…ok i’m working on it I should say. Just made sweet rolls with my grandma a couple weeks ago. Her mom was the master of all masters at making them years ago (at least in my family 😉 ) Pinned this recipe for later, thanks dear! Hope you’re having a great Tuesday! These are my kind of sticky buns! Love that you included delicious lemon flavor. I can’t get enough of lemon no matter what time of the year! My goodness these look so yummy! I love eating pastries and desserts with lemon I like the sweet & tart flavor combo! What if I call to say I am coming to stay too, does that mean I can have some of these? Lol! Gorgeous as always! Gloria, these look wonderful! I love anything Lemon. Your son Levi is one lucky kid, his favorite dinner and these for breakfast?! I would never leave! I have a weakness for lemon! Seriously one of my favorite flavors! These look to die for!! ! Lemon heaven for sure. These look incredible. Yum! These look like soft, comforting pillows of lemony goodness! How is it possible I haven’t made any form of sweet rolls in years? So craving these! Oh my…these look amazing!!! And addicting! I want one of these right now! 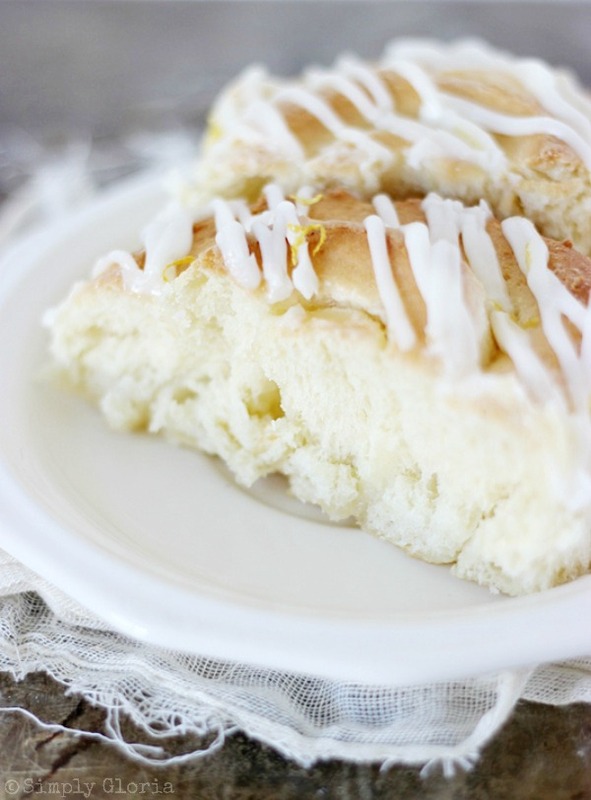 I love all things lemon and that soft pillowy bread just looks stunning! Aww, aren’t you a sweet mama! Can you adopt me? 😉 They look fluffy and delicious Gloria. I can see why Levi loved them so much!! These take me back to childhood! Of course, yours are WAY better since the one’s we ate were the horrible tube buns with the fake orange frosting. I can’t wait to try these! These look amazing! Love the lemon twist on a traditional sticky bun. Perfect for summer. This looks soo yummy! I would love it if you joined and contribute your awesome posts at my link party at City of Creative Dreams, starts on Fridays 😀 Hope to see you there at City of Creative Dreams Link Party. First, I love the name, Levi! Second, these look fabulous! 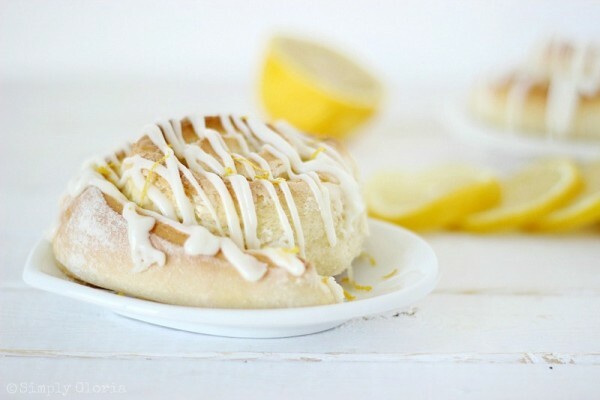 I love lemony pastries, so I’ll have to give these a try soon. Your blog is not good for my hips! But thanks for sharing at Fridays Unfolded anyway! Before I got to the part about lemon heaven in your post I was already thinking heaven on a plate. I totally love lemon. 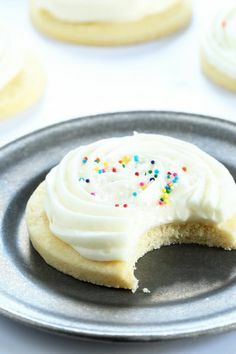 I flavor my royal icing with lemon. It’s just the best flavor ever. Coconut is a close second. These look divine! Congrats on being featured at our Wednesday Roundup Link Party! Your post is now pinned to our link party pinterest board!